On 17th of December 2018 Ukrainian State Air Traffic Services Enterprise got EASA Approval Certificate and confirm UkSATSE as approved Air Navigation Service Provider Organization. The approval certificate is valid till 16th of December 2020. For the first time in the history of international partnership European Union opens sky for non-EU member state and in particular in airspace of Slovak Republic. The successful passage of EASA audit will allow to start regular flights Kiev - Uzhhorod - Kiev till the end of this year and probably Motor Sich Airlines going to restore its flight service that did not take place since 2016. Intergovernmental agreement between Ukraine and Slovak Republic which previously regulated the use of airspace of Slovakia and aeronautical systems for Uzhgorod Airport (UDJ) was ended in summer of 2016. 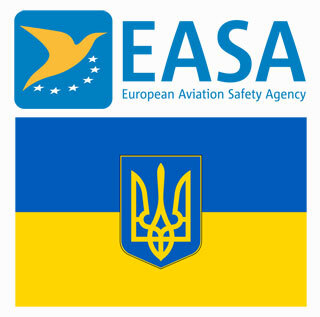 Following a series of consultations between Ukraine and Slovak Republic it was decided that one of conditions for appointment by Ukrainian State Air Traffic Services Enterprise in relevant part of the airspace of Slovakia is EASA certification required by EU standards applicable to a situation where a supplier who is not a member of European Union has the intention to provide cross-border services in airspace of EU member state.